For an unprecedented experience of Goa’s stunning and relaxing rural landscapes, the Wildernest excursion provides a window into the state’s natural beauty. A journey to Wildernest is a journey to one of Goa’s most stunning natural areas, set within a nature resort focused on exposing visitors to the immense beauty of Goa, away from the beaches. 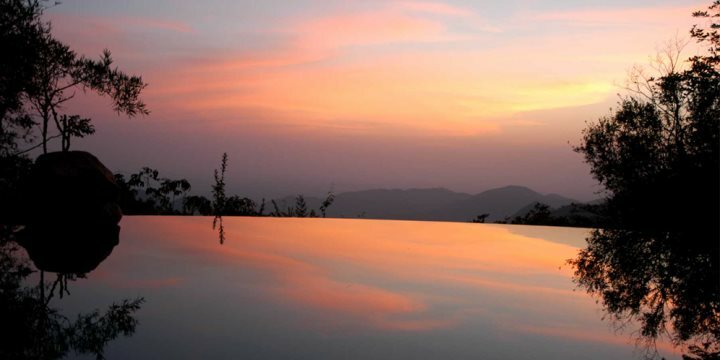 Hidden away in the picturesque Sahyadri valley, amid thick expanses of forest and overlooking the Vazra Falls, the Wildernest overnight excursion is a chance to get away from the hustle and bustle of these coastal areas. There are several activities to enjoy during the Wildernest excursion, in addition to relaxing amid the splendid scenery. Various treks will allow you to explore the wider reaches of the reserve, while wildlife talks and bird watching trails will see you become even more acquainted with the biodiversity of the state during your holidays to Goa. A comfortable stay at the resort is reinforced by a number of fine Goan meals, while the special, eco-cottages with a choice of forest or valley views, will form the most relaxing and quirky accommodation in which to rest your head for your 1 or 2 night stay.